"He Made Contact With Me On Sunday And Less Than 24 Hours Later The Job Was Complete"
"Friendly Relable Quick Efficient Service"
"Very Informative. Work Completed No Mess." "Very Friendly And Efficient Service And Reasonably Priced." 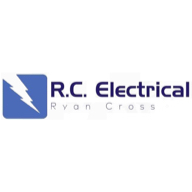 Need a Electrician in Plymouth?